Museum Day Live! Is a celebration hosted by Smithsonian Magazine, allowing you, and a buddy, admission to one of over 1,100 fabulous museums nationwide. Here’s a list of just a few of your options, if you happen to be here for Museum Day Live in Seattle on 9/23. To see the full list of participating museums, visit their interactive map, here. So you missed Yayoi Kusama’s Infinity Mirrors—what now? 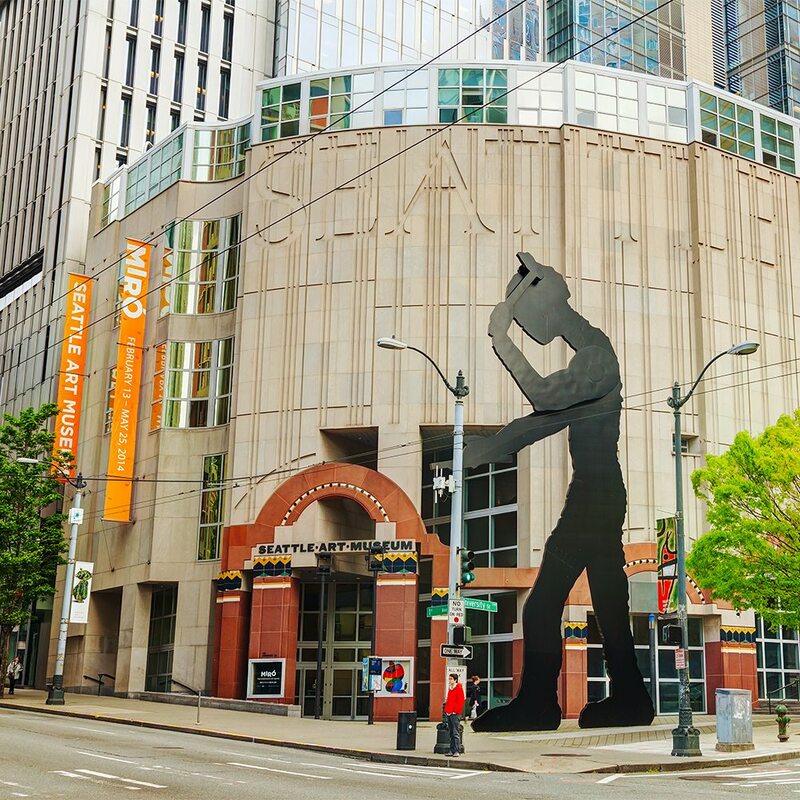 Head over to the Seattle Museum of Art in late September, and you’ll still be in time to catch John Grade’s jaw-dropping, large-scale sculpture, Middle Fork, and Sam Gilliam’s vibrant, burst-off-the-canvas collection of paintings. Seattle Art Museum: 1300 1st Ave.; 206-654-3100. Learn all about Nordic immigration to Seattle, old Swedish folk tales, and even rosemaling—a traditional form of decorative folk art that originated in the rural valleys of Norway. An inquisitive mind is a must–donning a lusekofte is optional. Nordic Heritage Museum: 3014 NW 67th St.; 206-789-5707. If you’re a dino-nerd, you’ll definitely want to visit the Burke Museum of Natural History and Culture on Museum Day Live. Perhaps one of the coolest current exhibits is a live unveiling of a recently found t-rex skull. Watch as paleontologists carefully expose the 60-million-year-old, 3,000 pound dino head before your very eyes. Burke Museum of Natural History and Culture: 1413 NE 45th St.; 206-543-7907. Run by the University of Washington, The Henry features predominantly contemporary art, and the history of photography. If you visit on 9/23, be sure to check out New York-based artist Summer Wheat’s Full Circle, an exhibition featuring large-scale, abstract-figurative paintings. Henry Art Gallery: 4100 15th Ave NE; 206-543-2280. Current exhibits include: Bowie by Mick Rock, The Jim Henson Exhibition, and Star Trek: Exploring New Worlds. Bring the kids, because The Museum of Pop Culture truly has a little bit of something for everyone. The Museum of Pop Culture: 325 5th Ave N; 206-770-2700.